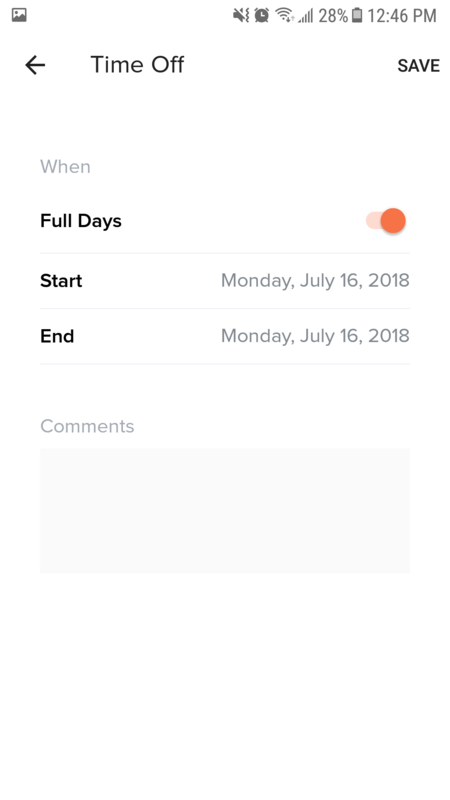 Specify whether or not you would like 'Full' or 'Partial' days. 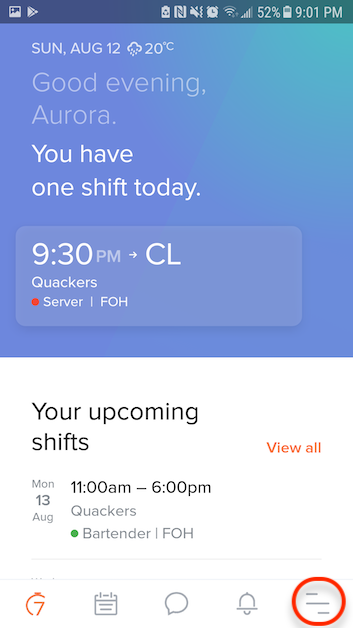 Toggle 'on' for full, 'off' for partial. 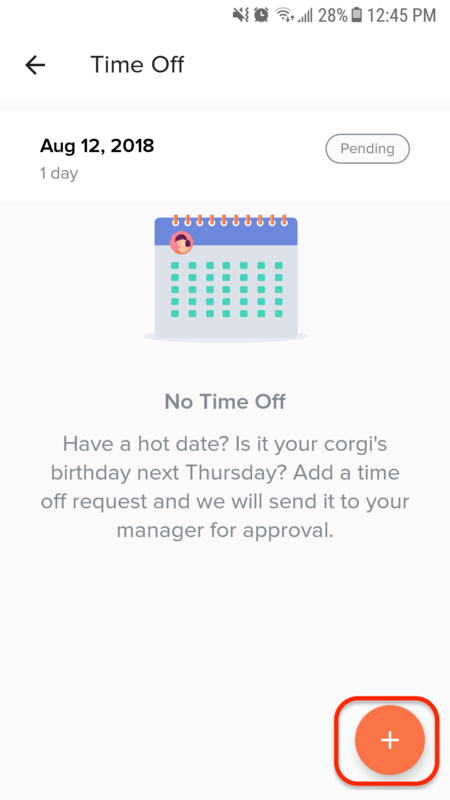 Enter the specific dates and time (if requesting partial days) for your request. 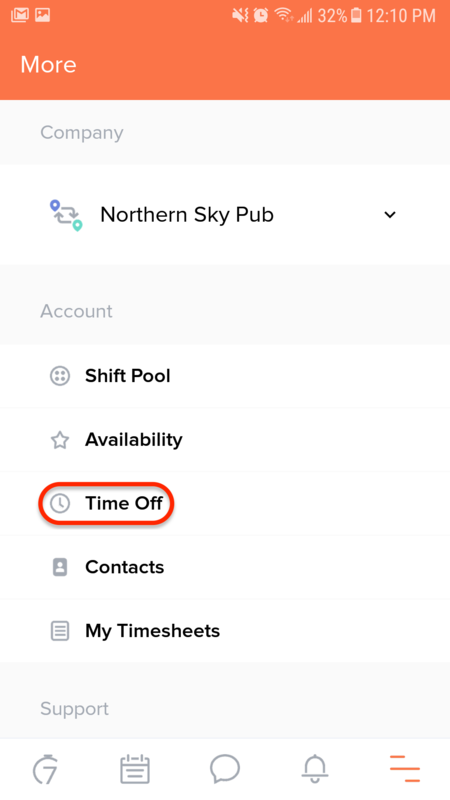 Tip: If you click on a future time off request in the mobile app, you can see a total of your days off taken for the current calendar year.